Driving back to Michigan today (I was attending a conference in Ohio), I was feeling sleepy -- so rather than risk getting into a car accident, I decided to stop somewhere to get coffee and walk a bit. I found a Starbucks...that was across the street from a DSW!!! I couldn't resist the pull of all the beautiful shoes, sitting pretty and pristine on shelves and beckoning to me to try them on! They didn't have my usual 7.5M, so I tried on the 8M. 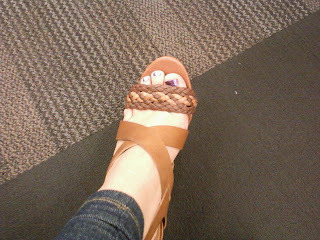 They were loose and didn't stay on my feet very well (partially because there are only 3 holes on the buckle strap). 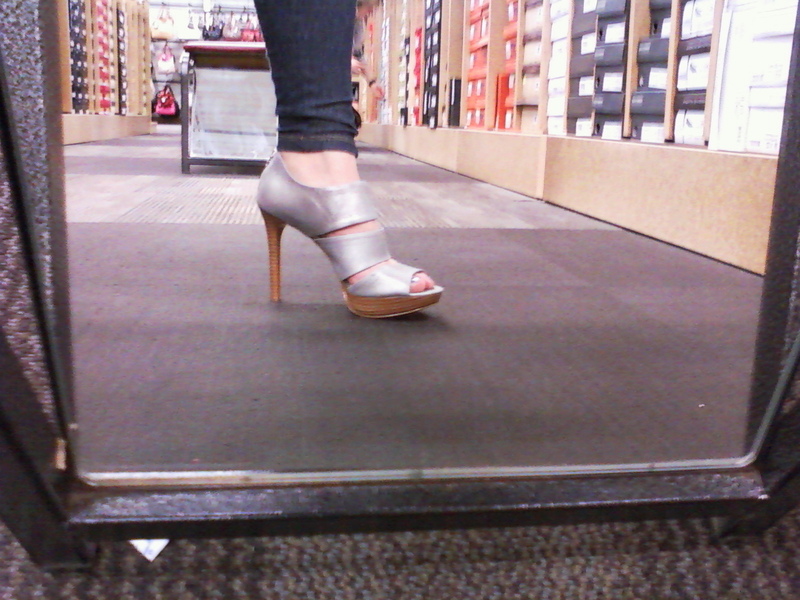 I would have been better off with my usual size, so I would say that these are TTS. The leather was really soft! 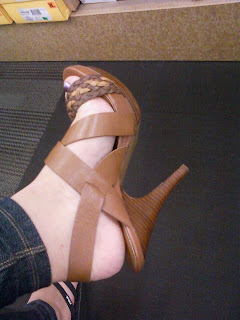 Even though they were too big for me, I could tell they are pretty comfortable (much attributed to the soft leather). Mochi is definitely going to be my 2nd SS purchase this month. (My Accent shoes in chili will arrive on Monday!!!) These were BCBG Paris brand and on sale at DSW for $69.95 (MSRP $110). I also found Wyld! 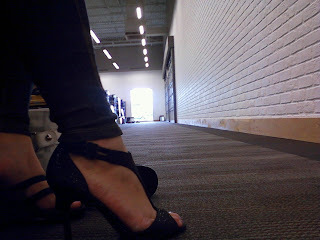 Wyld is a June shoe, so this is for those of you who are lusting over her this month. 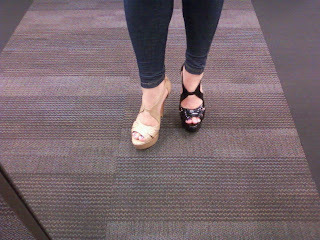 I had to try on the 8M size because I couldn't even get my feet in the 7.5M ones. 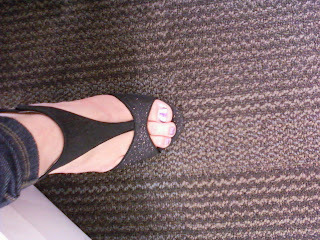 The 8M ones were just a teensy bit long on me, but the ankle straps made up for that. My feet are a hair bit wide in the front, but I've never had to buy wide width shoes in order to fit, so I think these run narrow. 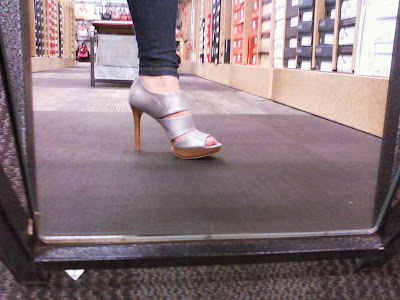 The Wyld has patent uppers and 5" heels...though I love my high heels, I was a bit apprehensive wearing them around the store because they come across to me as the type of shoes strippers may wear. I only wore them to walk around for 10 mins or so (my usual shoe shopping routine) but they seem pretty comfortable. 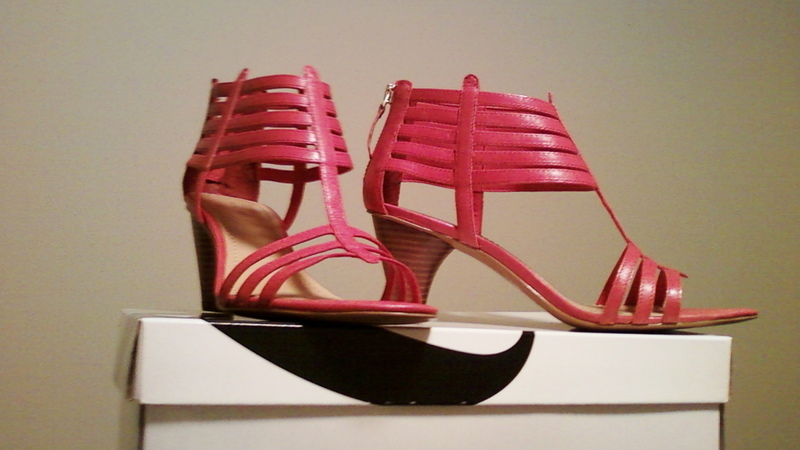 These were Jessica Simpson brand. I forgot how much these were retailing for, I think it was as much as the Mochi. 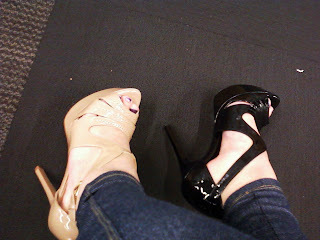 Mochi and Wyld were the only SS shoes I came across while at DSW. they are practical! Thus, I shall wear them a lot (if it ever stops raining!). They supposedly are 'pink' but I think it's more of a vintage red. These are the Remini by Calvin Klein. So beautiful! 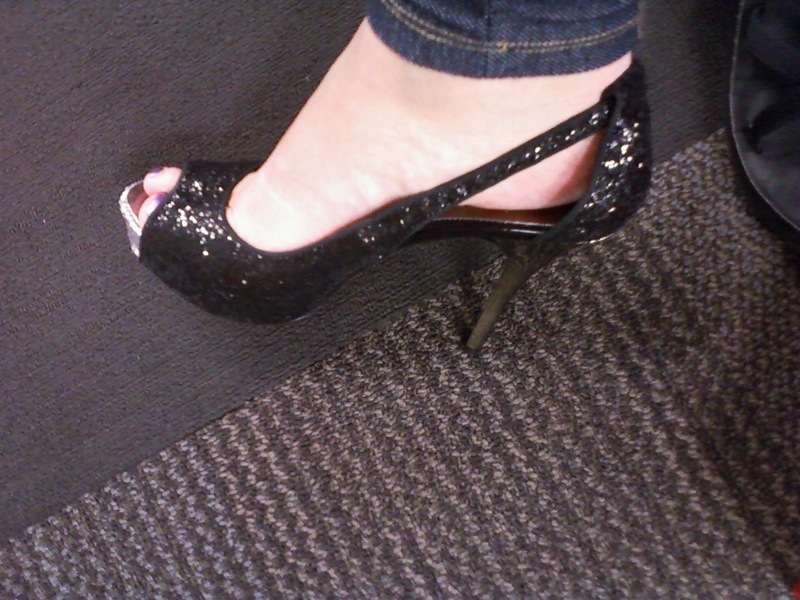 Unfortunately, they didn't have my size, and 7M was too tight and 8M was too loose :-( [I am the Goldilocks of shoes.] I couldn't find them online, so I will have to stalk them at the DSW stores near me. *Sigh* I shall dream about Remini until we meet again! If ANYbody knows where to find these, I will name my first born after you! 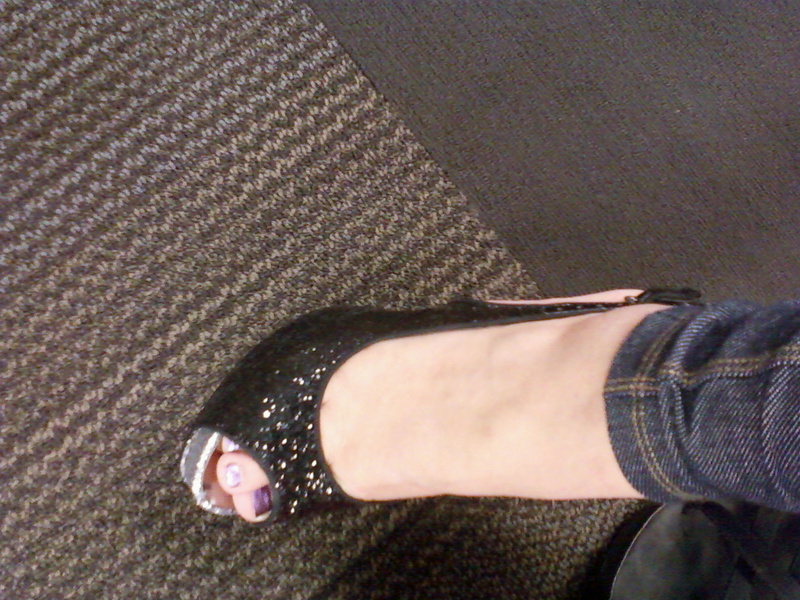 So, that was my unexpected shoe-venture. I love shoes. Love love love!